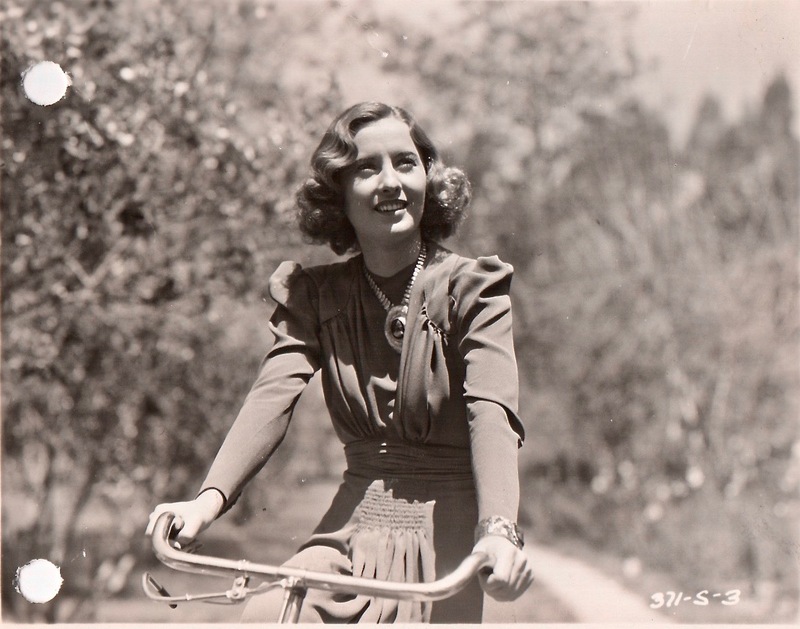 Barbara Stanwyck cycles down a country lane thinking about all the amazing photographs on Rides a Bike, the site that celebrates movie stars on their bicycles. Launched on Thanksgiving Day, 2010, it’s our 8th anniversary today! Spend some time checking out the hundreds and hundreds of pedal-powered images. This one was taken when Stanwyck starred in the 1938 romantic drama Always Goodbye.